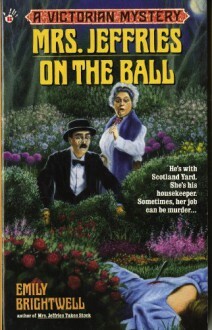 Festivities turn fatal when Hannah Greenwood is found dead at a Jubilee Ball honoring Queen Victoria. But fear not, Inspector Witherspoon and Mrs. Jeffries are also in attendance. They are soon hard at work exposing old secrets and petty jealousies in the prestigious Hyde Park Literary Circle, of which the victim was a much-hated member.